Meaningful verbal communication seems to be on the path to extinction. Over the past ten years alone, text messaging has even surpassed phone conversations. 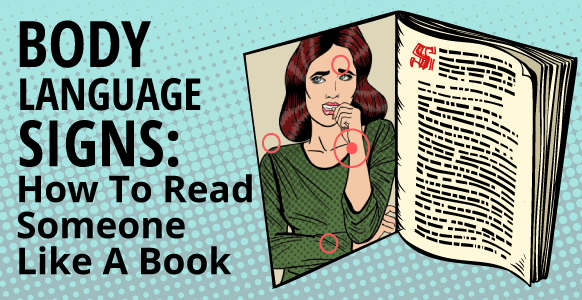 So it begs the question… without the sound of a human voice, can text conversations really convey accurate communication, especially given how easy it is to misinterpret them? For example, if you text a friend with “I’m running late!” and they respond back with, “What else is new,” it becomes very easy to mistake what might have been a playful, eye-rolling chuckle, with genuine frustration. While it’s important to know which words to say to someone, it’s actually more important to say them in a voice that has the impact to really deliver them. 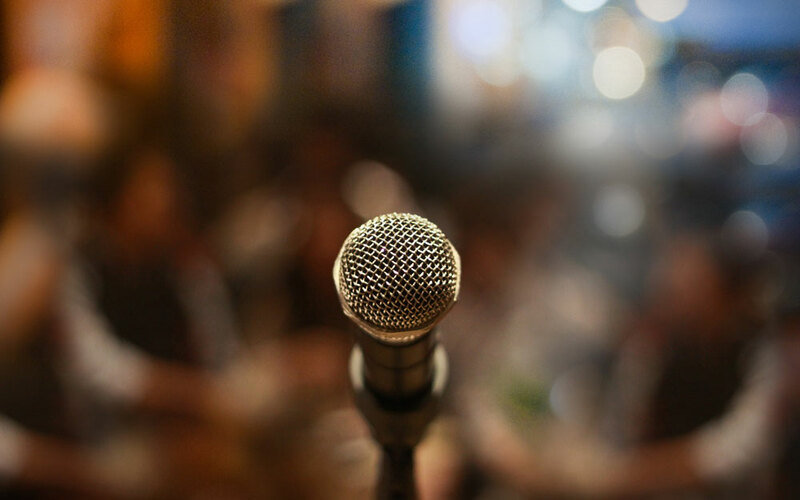 If you want to get your point across in your hypnosis practice, business negotiations or personal relationships – a powerful voice is a necessary asset. Several years ago, a famous study was designed to break down the meanings of words and how people interpreted them. The end results were shocking! The study showed that the words themselves accounted for only 7% of the meaning perceived by the listener. Whereas the tonality of the voice was responsible for 38% of the interpretation. And finally, 55% of the meaning came from body language and non-verbal communication. So a communication delivered solely by text leaves the recipient 93% impoverished by the interaction. 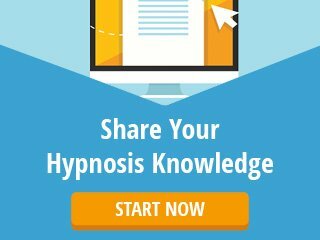 What is a hypnotic voice? It’s a voice that someone gives their full attention to. You love the tone and expressiveness of it. You could listen to it forever. It makes you feel good. The person could be reciting their grocery list and you would still pay rapt attention! We all know someone with a voice like this. It’s what makes singers and actors famous, and keeps you gladly handing over your money to see them. But the best thing is, it’s the kind of voice you can develop as a hypnotist to take your work to an entirely new level! 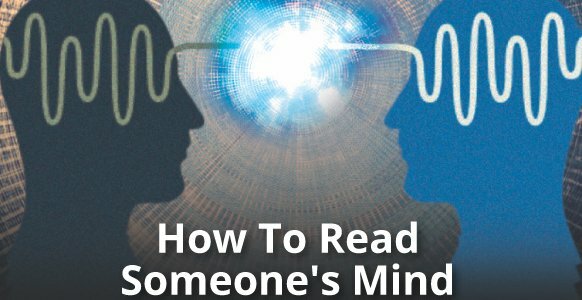 In 1991 research scientist Giacomo Rozzolatti from Italy’s University of Parma began the brain neurology experiments that ended with the discovery of mirror neurons. In a nutshell, whenever two people are together talking, both their brains neurological wave patterns and their body’s biochemistry become identical. To explain a little further, when someone speaks to you, whatever emotions they’re feeling creates chemicals in their body and their brain wave patterns act a certain way. As the listener, your brainwave patterns will exactly mirror theirs and your body will also produce exactly the same chemicals of emotion as theirs. 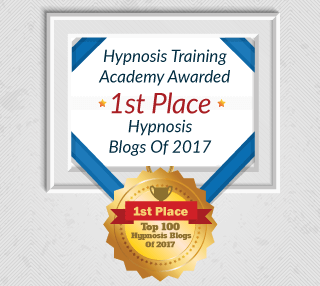 Why is this important to you as a hypnotist? Because whatever you say and feel when you’re with your subject will be exactly mirrored in their brain and body. You will both, in reality, share the same experience. This is why putting yourself in the right state of mind first is critical – especially before you’ve opened your mouth. The second point of value from Rozolatti’s study is that your emotional state of mind determines the tone of your voice. You can’t separate your emotions from your voice tone and body language (remember, that’s the other 93% of communication beyond words). Every word cataloged in your brain has a body movement and emotion associated with it. So going back to your subject, if you’re in a calm, confident state, and you sincerely want nothing but their greatest well-being during your session – you need to perfect your tone so they have the right experience. As discussed earlier, experience follows tone and tone follows emotion. It then makes sense that as you’re talking with someone, changing your emotional state is going to be necessary to convey the different ideas you’re trying to get across. Your voice has to have enough emotional flexibility to hold your listener transfixed. No one will listen to a monotone for very long. For example, a subject comes to you because they want motivation to exercise more. What emotional state of mind do you need to put yourself in so your voice inflection is effective with this subject? You might be tempted to go with high energy. But in fact, this could go terribly wrong. Reason being, your emotional state should always be just slightly above your subject’s. As you work with them you’ll slowly change your emotional state to higher energy levels. But only at a pace they can follow, which may take a few sessions to identify. Saying “Exercise is GREAT!!! You’re going to love how you feel!! !” in a high energy, excited voice at first will have them walking out the door. So will having emotional energy equal to or lower than theirs. Keep your emotional energy where it needs to be and your voice inflection will be just right. To get better at your voice inflection, try talking out loud. Repeat a nursery rhyme or something you don’t have to think too much about, while going through all the different emotional states you can internally conjure up. Feel these emotions as quickly as possible so that every couple of words you’re changing state. If it’s helpful, write down a list of emotions like: excitement, sadness, anger, joy, melancholy, boredom, disappointment, ecstasy. Go through each of them so you don’t have to think about which emotional state to practice next. This is a really fun exercise – but you might want to do it in private! Make no mistake, a powerfully hypnotic voice is easily heard and understood. This is because the words are enunciated clearly. 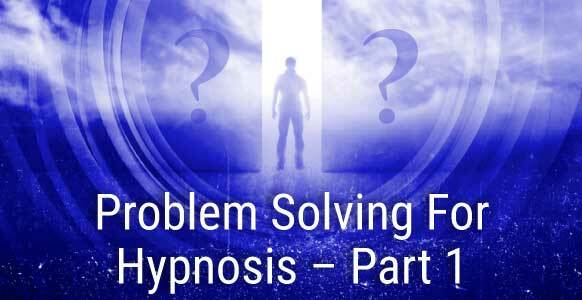 Suggestions mumbled during a hypnotherapy session won’t be accepted and acted upon. Just as important points mumbled during a sales presentation won’t be taken seriously. Regardless of whether your voice tone and inflection is loud and excited, or soft and almost a whisper, the words should be crisp enough to hear easily. We’ve all heard the saying, “Timing is everything.” This is particularly true in hypnosis. All of life has a rhythm to it. A timing that’s harmonious. Your hypnotic voice should be the same. Trying to cram more words into a space than it can hold is discordant, it’s uncomfortable. The sales person talking 100 miles an hour about the benefits of their product to get it all in before you bolt for the door is a perfect example. A hypnotist is like a musician finding the right rhythm for their subject – allowing spaces for reflection, a timing they can follow, a rhythm they can sink into and enjoy. As an exercise, find three pieces of music that you like. One slow, one a little faster, and another really up tempo. Put the first piece of music on, take out a book, and then reading out loud to the rhythm of the music. Read a few pages this way and see what it feels like to speak in this rhythm, and then do the same for the other two pieces of music. Then mentally think about the sound of rain on the roof and read to that rhythm. Think about the sounds of the ocean, or any natural sounds that you enjoy – and read to those rhythms. Next time you’re about to put yourself in a state of “going first,” just remember a rhythm that you enjoy before you start talking. It will become entirely natural to do this in a very short time. 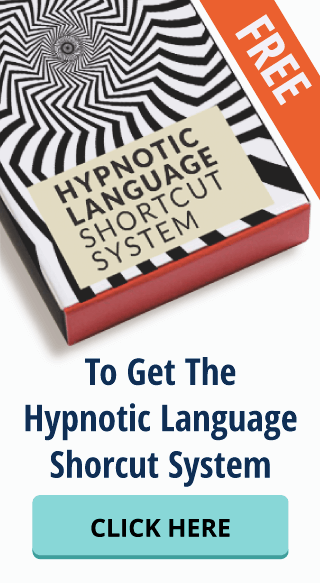 The hypnotic voice you cultivate after practicing these simple exercises may surprise you. You’ll find it naturally richer, deeper, more rhythmic and perhaps slower than you usually speak. But rest assured, your H+ (“going first”) will take on a whole new life. You’ll begin connecting on a much deeper emotional level with those you work with as you’ll be focusing on working with a greater level of empathy and care. You may even begin to see things in others you didn’t notice before because your awareness is so much keener. 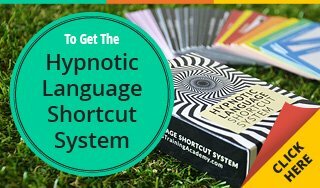 As a result, your superb hypnotic vocabulary will start to communicate more and more of its intended meaning. 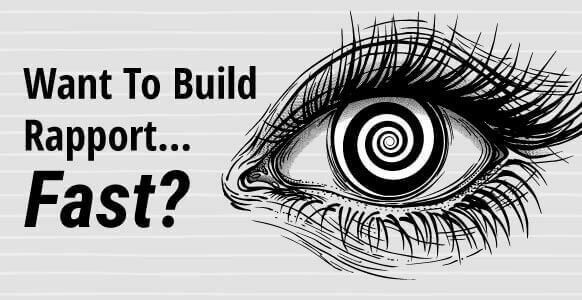 Which means your success as a hypnotist will be on the rise too. Oh, and next time you’re tempted to text a friend for a catch up, meet up for a cup of tea instead!